Everything is easier if you have the right tool for the job, and installing synthetic turf is no exception. 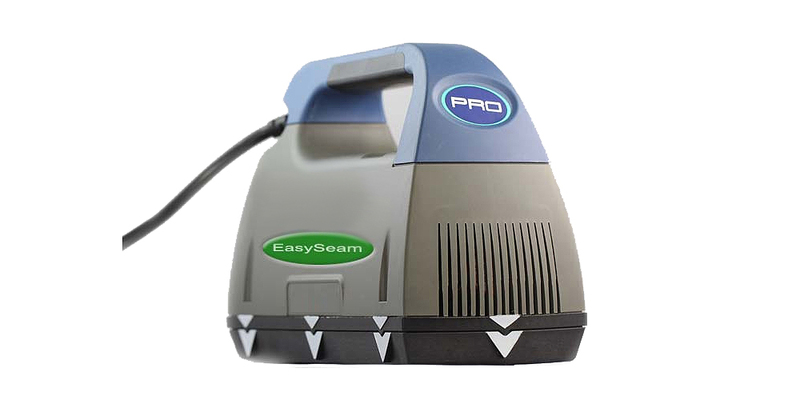 One of the best new tools for artificial turf installation is the EasySeam machine. Before this product, tape and glue were used to seam turf edges. It was a messy job, and it was difficult repairing mistakes along the way. This machine streamlines the process. Watersavers Turf offers the EasySeam for purchase or rental, along with more of the best new faux grass installation accessories for contractors. The Industrial Power Broom – This is perfect for making sure that your turf is clean before you install it. It’s about seven times as fast as a manual push broom. This product is available for rent from Watersavers. The Carpet Stretcher – This stretches out turf during installation which makes for a clean and smooth surface. The Carpet Knife: A simple folding knife that is perfect for cutting turf (Item# TURFKNIFE). It’s time for water-saving landscapes, and in 2016, more homeowners and business owners are choosing artificial grass for their yards. Artificial turf maintenance is so easy, and the latest turf looks so real that it’s a smart option for the water-wise client. Installation is easy with all the tools we offer, so give us a call at 844-974-8873 for free 1′ x 1′ samples, or to learn more about our products. With the right tools, installation can be easier for do-it-yourselfers and contractors to make a clean, professional, faux lawn for their clients.